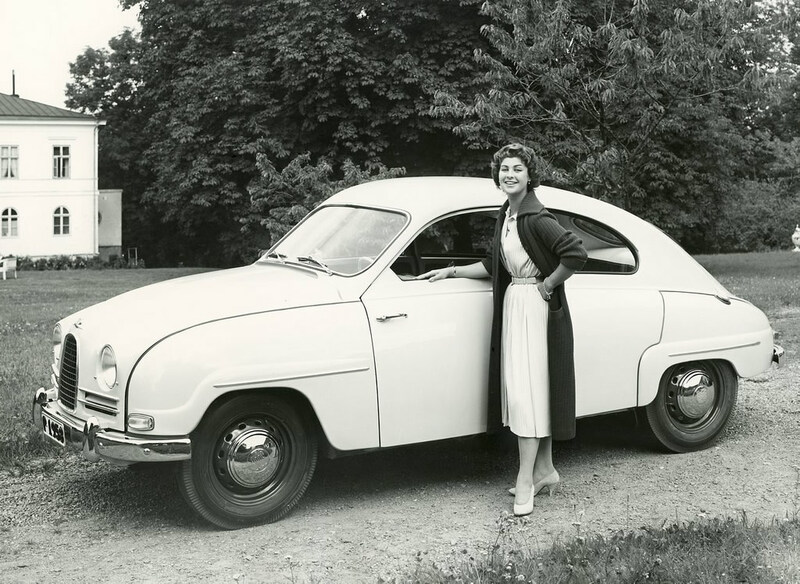 About sixty years ago, a smartly dressed lady posed in front of this Saab 93 somewhere in Sweden. That is pretty much all that is known about this picture. The woman could be the owner or just merely happy to pose with this fine Swedish automobile. The Swedish National Museum of Science and Technology in Stockholm shared this picture on Flickr and only mentions “Women with car Saab-93 for four passangers in the 1950s”. Production of the Saab 93 started in 1956. This is a 93 or 93 B because of the rear door hinges. The 93 had a 2-piece front windshield and the 93 B a single piece so presumably this is a 93 B. I am sure Saab 93 experts can immediately tell what model this or even what year so please let us know in the comments. Thanks for the info Wolfgang. 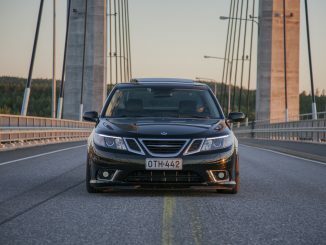 I didn’t even think about the possibility of this being an official press or promotional picture by SAAB. Also didn’t notice the license plate.